A fabrication space is an avenue for people such as design students, creative minds and startup founders to actually bring their digitally-designed ideas to reality, through 3D printers and laser cutters, among other machines. Fab Space KL is set up in Lot 10. It hosts both workshops and a space for creators to share ideas while forming a community. It cost above RM150,000 to set up, and the business is currently sustainable. Many Malaysians envy the teaching methods that Japanese school kids get to experience—a more hands-on approach to creation, apart from the usual abstract history and algebra subjects. Well, who says learning has to stop at school? 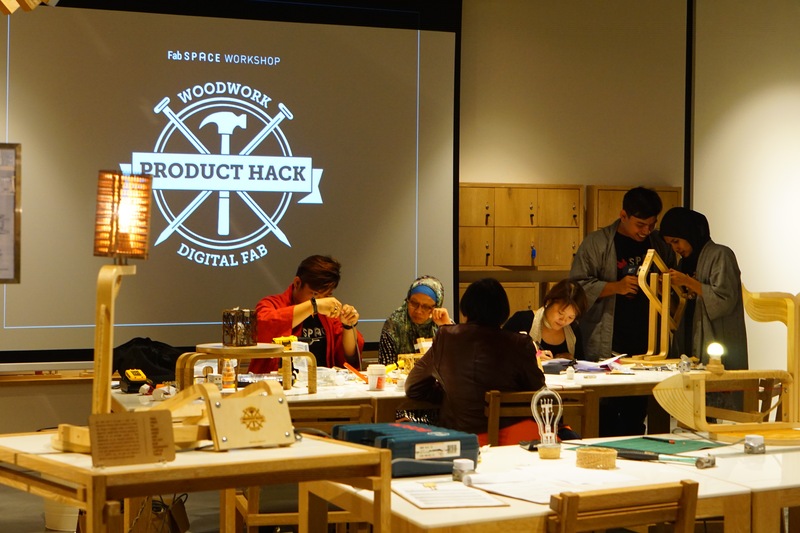 This was the basis behind Fab Space KL, a maker space based in Isetan Lot 10. It doesn’t seem like setting up in a Japanese store was a coincidence either. Update: We’ve edited the above sentence with Fab Space KL’s actual location. Fab Space KL was based on the concept of FabLab that launched in Tokyo as of 2010, and in fact, a team from Fab Cafe Japan came all the way to Malaysia to teach the founding duo how to use the machines. Fab space here refers to two things—fabrication and fabulous. Or fabulous fabrications, if you’d like to see it that way. 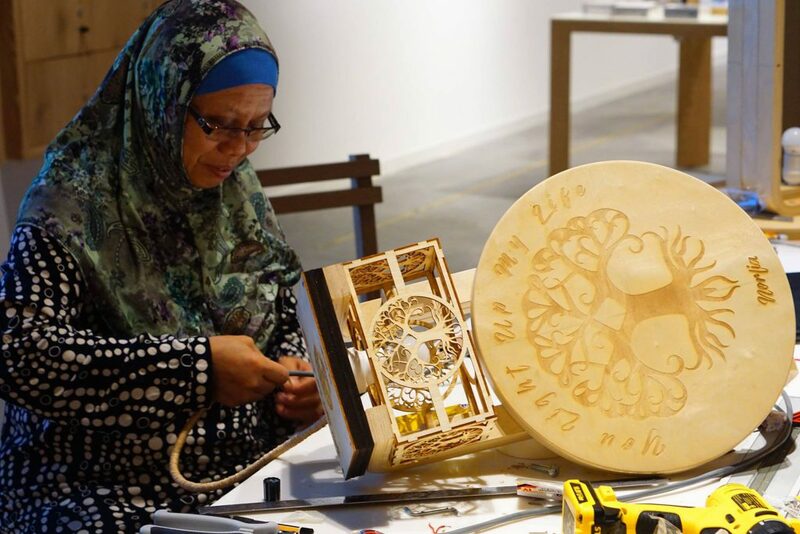 The idea behind Fab Space KL is for everyone, young or old, to forge a community, and to turn their digitally-rendered ideas into real life with 3D printers and laser cutters. The space was launched by Gwyneth Jong, interior designer and Ignatius Andi, graphic designer. “We always needed a place equipped with all digital fabrication machines to create and to test out our ideas. And there was no such facility around,” said Gwyneth. So they got together to create a space that they once sorely needed, sinking in between RM150,000 to RM20,000 to make it all happen. Fab Space KL is not only founded by designers but also staffed by a team of creatives who can speak the fabrication machines’ language. In fact, it was important to the founders that everyone there understood the point of view of a designer. The space serves as a gathering space for creative minds—innovators, startups, and business owners can get together to make use of the machines they couldn’t otherwise afford while exchanging ideas and forming relationships. 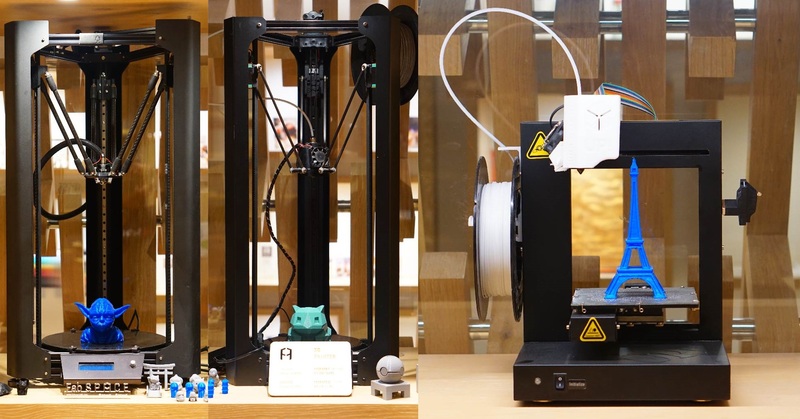 The machines available include a laser cutter, UV printer, 3D Printers, a CNC Milling machine, an embroidery machine, a sewing machine, a 3D scanner, a latex printer and a ScanNCut machine, though the founders are planning to add more as the business grows. 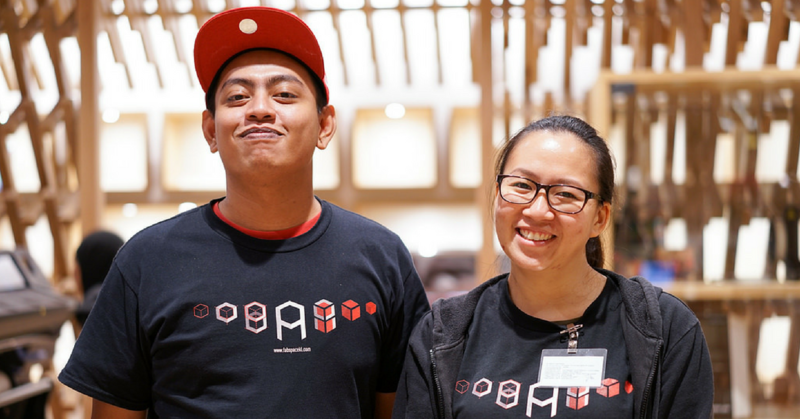 Initially, Gwyneth and Ignatius set up Fab Space KL in Lot 10 because “there would be that certain group of people who would be interested in workshops as an alternative to shopping”. Over time, their aim has evolved towards getting the public aware and excited about what digital fabrication machines can do, simply by showing them how things are done. One of their tactics to garner interest into the space is by hosting workshops. These workshops extend between creating fabric bags from scratch, to modifying a normal Tamiya car model into a smartphone Bluetooth-controlled car. 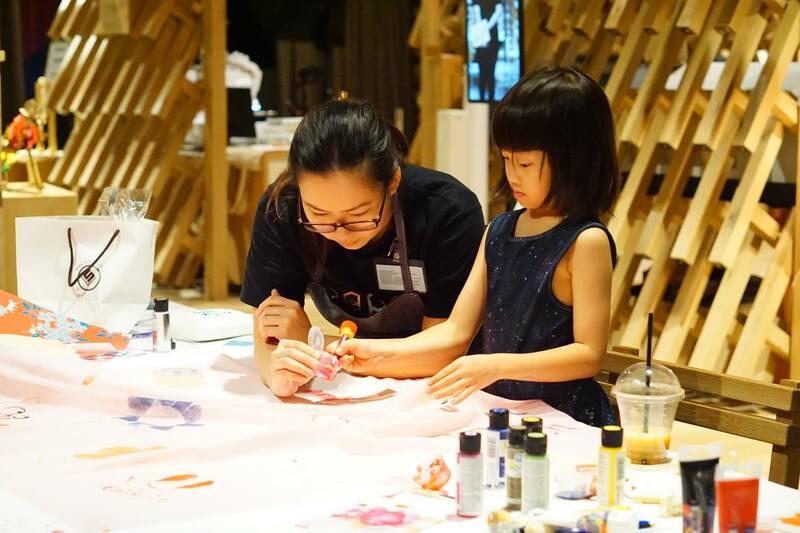 Of their more recent workshops was an RM120 paper flower decoration creation course for Mother’s Day, and a more practical RM85 3D modelling class—a basic stepping stone to printing something on a 3D printer. As per their Japanese inspiration, the learning does not have to end in class. 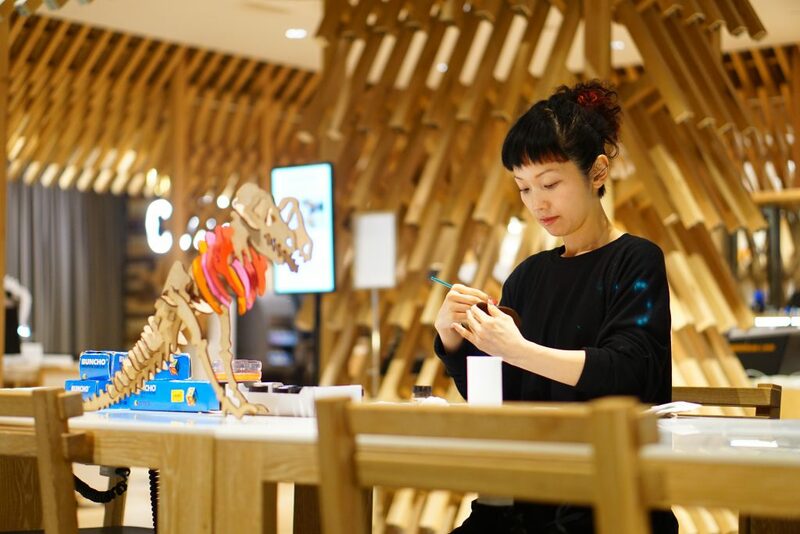 “Because we ourselves love experimenting on different materials, sometimes we will have meaningful discussions and experiments with our customer just to explore if there is a new way to create using the machines we have,” said Gwyneth. They also have a frequent array of art and design students from various colleges and universities, who they help by giving out opinions and advice on their designs and how to best prepare their files for the machines. “Other than that, we also regularly hold children’s workshops, so we become ‘babysitters’ for the kids while their parents go shopping or on a movie date,” said Gwyneth with a laugh. Even those who might not be too keen to play with the machines can simply send their designs over to be produced by Fab Space KL—for a fee. Through these few avenues, Fab Space KL characterises their business as sustainable. In fact, Gwyneth and Ignatius are playing with the idea of opening up their own space soon, along with better machinery to offer for their customers. To find out more about services offered and upcoming workshops, you can check out their website.